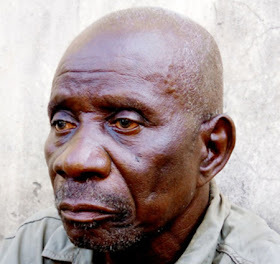 A 70-year-old man, Godwin Agbada, has blamed the devil for the alleged defilement of two girls aged 12 and 14 years in his workshop. Agbada, who was paraded at the headquarters of the Delta State Police Command in Asaba, yesterday admitted to the offence, but denied having carnal knowledge of another victim, Ebele Olise. The 74-year-old suspect, who expressed regret over his action, added that both minors often came to his workshop to visit and that he frequently gave them money. He said he is married with five children. The Public Relations Officer of the Delta State Police Command, Celestina Kalu, who briefed reporters said: ‘‘On October 3, 2016, one Sunday Umukoro reported at the police station in Ubiaruku that on observing the painful movement of his 12-year-old daughter, Blessing Umukoro, he inquired from her and discovered that on October 2, about 7:00 p.m., one Godwin Agbada, aged 74, and a bicycle repairer at No. 9, Morka Road, Ubiaruku, defiled the said Blessing Umukoro in his workshop at Old Ubiaruku/Sapele road, Ubiaruku by having unlawful carnal knowledge of her. The said Godwin has been arrested and medical report has confirmed the commission of the offence.